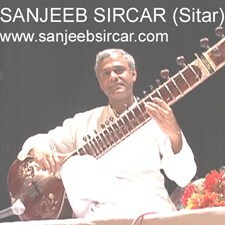 An accomplished and award-winning Indian Classical Sitar performer / teacher and a creative and versatile musician, Sanjeeb Sircar has a music career of more than three decades, during which he has performed and taught music at many places in India, Europe, USA, England, and Australia. Both the Gayake and Tantrikari of the Imdadkhani and Senia Gharana styles are to be found in his rendering of a Raga. He holds a master’s degree in Indian Music (Sitar), from the Prayag Sangit Samiti, Allahabad, and a diploma in Indian Music (Sitar), from the Benaras Hindu University, Varanasi. Prominent among his teachers are Ustad Shujaat Khan, the late Pandit Banwari Lal (1912-2003) of Allahabad, Late Dr. Raj Bhan Singh, and Dr. K.C. Gangrade of Varanasi . He has also attended lecture demonstrations, workshops performances of numerous eminent scholars and musicologists including Sitar Maestro, Pandit Ravi Shankar, over the years. While keeping the traditional norms he has evolved his own personal touch and expression. Apart from playing the Indian Classical Sitar, his primary instrument, he has learned to play the Piano, Tabla, and Guitar. In addition he plays a variety of diverse forms of music, Jazz, Gospel, and Christian being one of his central fascinations. A pioneer in using the Sitar in authentic Jazz, Christian and experimental forms of music he has been an exponent of Fusion Music for more than three decades. Being a Christian and upon coming to know Jesus more personally over the years, he loves to also play and sing Christian Music also. Studies in other subjects include two years of Electrical Engineering. Bachelor of Arts, and Fifth Grade in Piano of the Trinity Collage of Music, London, England. Drawing upon the varied sources of his learning, exposure and experience, his music reflects a synthesis of subtle diversity marked by a personal innovative approach, and depth of expression. During his school days he took an active part in musical activities and won first prize at an all India level music competition. In 1978 he was awarded a prestigious scholarship for studies in music for two years by the Government of India. In the year 2008 he was awarded the Best International Ambient Male Artist, award of the Toronto Exclusive Magazine International Awards. He has produced four music albums besides recording many tracks for other productions. 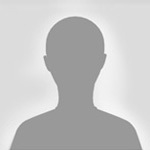 Based at New Delhi, India, with his wife, Sanjeeb works as a performer and teacher of music.